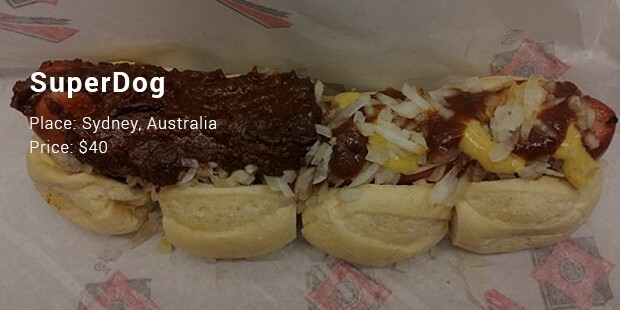 Ever wondered why it’s called Hot Dog? Here it is, the word Hot Dog was coined in 1901 at the New York Polo Grounds on a cold April day. Vendors were hawking hot dogs from portable hot water tanks shouting, “They’re red hot! Get your dachshund sausages while they’re red hot!” On seeing this, A New York journal sport cartoonist, Tad Dorgan observed the scene and hastily drew a cartoon of barking dachshund sausages nestled warmly in rolls. 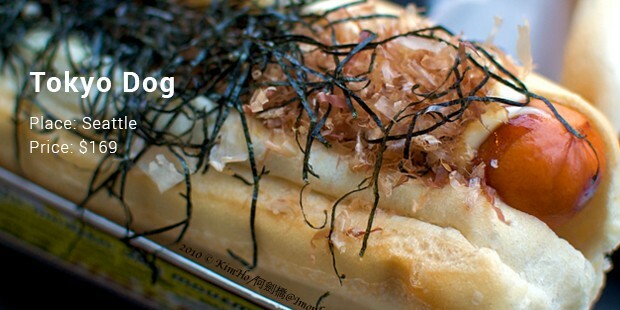 There you go that’s how the name hotdog evolved. Sausages are one of the oldest form of processed food. Frankfurt-Am-Main, Germany is traditionally credited with originating the Frankfurter. However some popular sausages like “dachshund sausage” was created in the late 1600’s by Johann Georghehner, a butcher, living in Coburg, Germany. NYC’s exclusive 230 Fifth restaurant for $2,300 claiming the record for the most expensive in a press release. 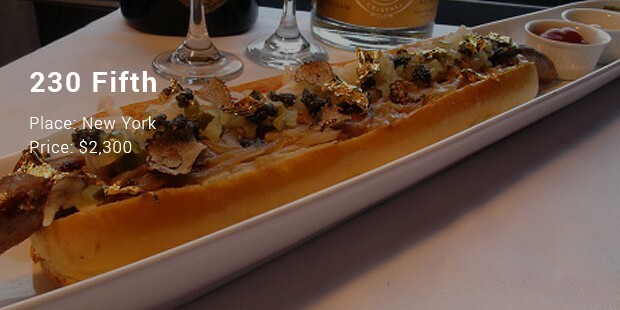 It’s topped with dry aged-wagyu beef, black truffles, and white truffle butter, saffron Vidalia onions caramelized in Dom Perignon, the finest caviar available, gold leaf and more. 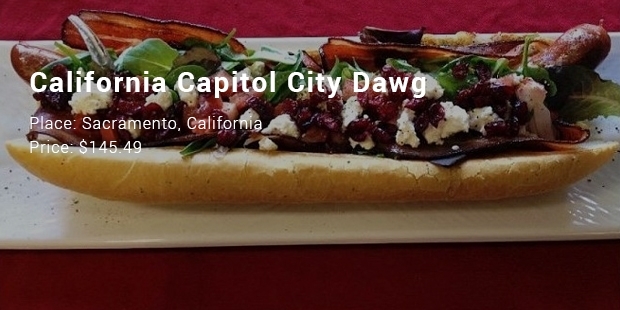 Mike Brown of capitol city Dawg and Mike Juliano of Hot Dog Mike’s had the same idea within months to take back the record for most expensive wiener from Canada. 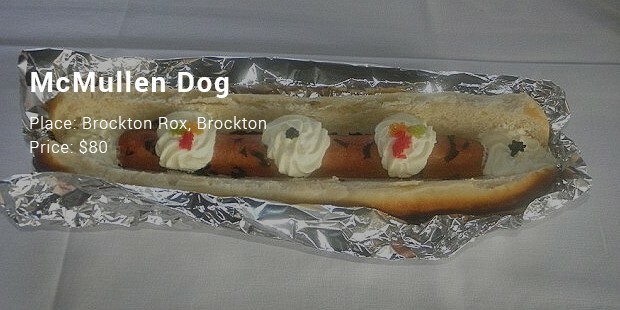 There was Lobster and even Gold Flakes on this hotdog. 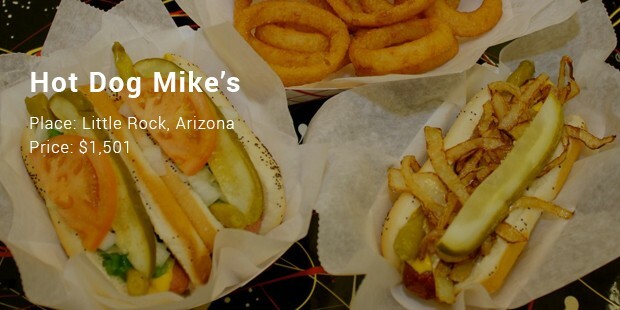 Mike kept a dollar per dog for himself and sold four, giving a whopping $6000 to feed the homeless. This baby goes well beyond hot dog standards like mustard and relish, and far surpasses any chili or cheese.In fact, the ingredients list for the foot long frank would make a Michelin-starred chef blush: the Juuni Ban contains smoked cheese bratwurst, butter Teriyaki grilled onions, Maitake mushrooms, Wagyu beef, foie gras, shaved black truffles, caviar and Japanese mayonnaise, all served up in a brioche bun. 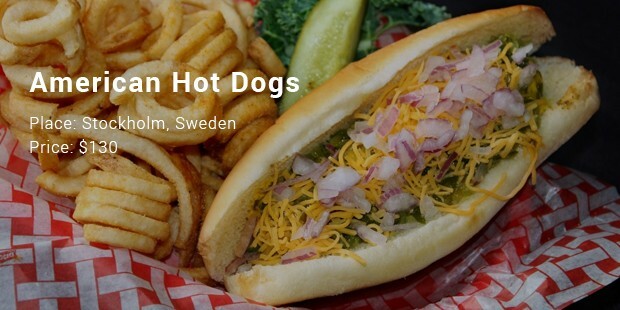 In the US, "hot dog" may be referred to just the sausage or to the combination of a sausage in a bun. 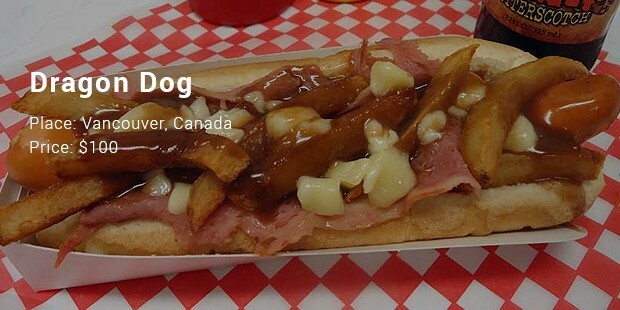 Many nicknames for hot dogs have popped up over the years. 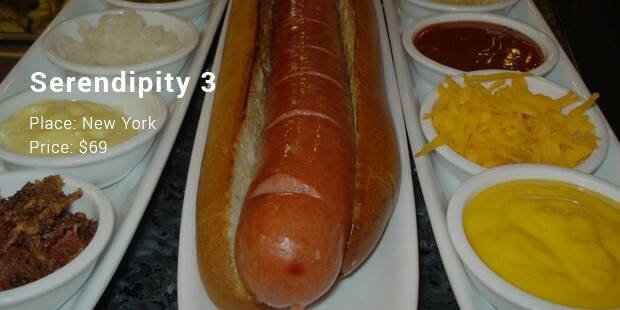 A hot dog can often be seen under the names of frankfurter, frank, red hot, wiener, weenie, durger, coney, or just "dog". Hot dog stands and trucks sell hot dogs at street and highway locations. 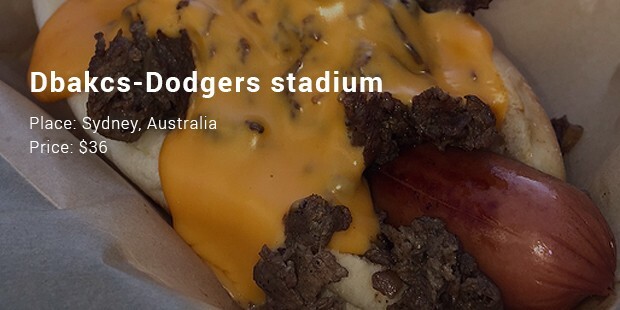 Wandering hot dog vendors sell their product in baseball parks. At convenience stores, hot dogs are kept heated on rotating grills. 7-Eleven sells the most grilled hot dogs in North America — 100 million annually.Hot dogs are also common on restaurants' children's menus.